Thank you for considering Ball’s Falls for your upcoming wedding. Ball’s Falls Conservation Area offers unforgettable backdrops with two magnificent waterfalls, picturesque hiking trails, and a historical village from the 1800s, nestled on the scenic Niagara Escarpment. Whether you seek natural wedded bliss, intimate vows, rustic elegance, or high-style and sophistication, our wedding venues are the perfect answer. From engagement shoots and intimate ceremonies to reception celebrations, our distinctive properties offer majestic scenery as the perfect setting for a storybook wedding and the start to your ‘happily ever after’. When you celebrate your wedding in Niagara’s most unique places, you can choose from a variety of indoor and outdoor spaces that boast both elegance and romance. BALL’S FALLS PREFERRED VENDORS 2019. There’s something so effortlessly romantic about an outdoor wedding ceremony. Whether you’re surrounded by lush, full and beautiful green trees, gorgeous blooming flowers, or spectacularly coloured leaves, our picturesque backdrops are stunning settings for your outdoor ceremony. Ball’s Falls features two outdoor settings — our V section located behind the Big Barn, and the Upper Lot overlooking the escarpment. The breathtaking scenery at Ball’s Falls is completely revitalized with each season so we’re not surprised to hear that our areas truly define what it is to get married outdoors. Please note: Only the upper lot includes a private entrance. Only the V section includes hydro. Make your wedding a part of history by choosing our historical chapel for your ceremony. A perfect setting for your dream wedding, this restored chapel features warm wood tones; both rustic and elegant, wonderful ambiance, and seating for 110 guests, with two aisle ways. Formally known as St. George Anglican Church, the chapel was built in 1864 in Rymal, a community now known as Hannon, Ontario. In 1974 the building and its interior furnishings (pews, alter) were offered to the Niagara Peninsula Conservation Authority. The NPCA had the building dismantled, moved to present site and reassembled. The chapel was re-opened October 1974, and has been used for weddings and other events at Ball’s Falls Conservation Area ever since. The Ball’s Falls Historical Chapel is the perfect setting for religious and nondenominational wedding ceremonies. 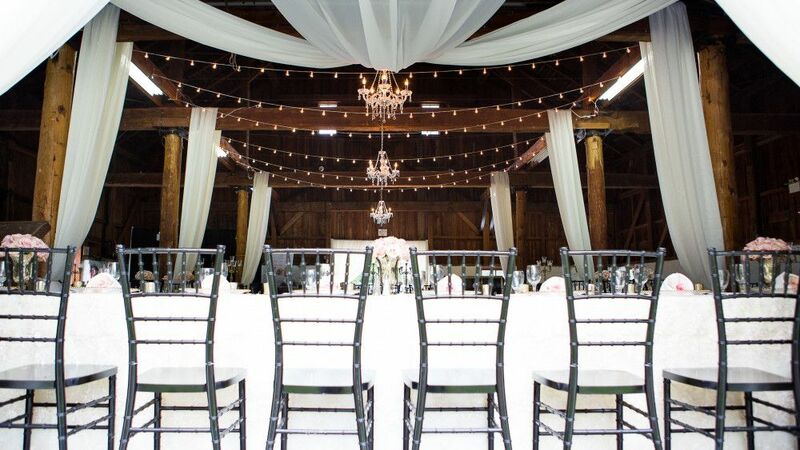 If you are looking for a rustic venue with some fresh air on your big day, we’ve got the perfect space. Built in 1882, and filled with old-world charm, the Big Barn is ideal for couples wanting to add a little rustic countryside style to their ceremony and wedding receptions. With this venue, couples have the opportunity to bring the caterer and decorator of their choosing, and includes harvest tables and black chiavari chairs. This high-style and elegant reception venue is perfect for any season. Surrounded by gorgeous blossoms during the summer, and frosty snowflakes in the winter, our Glen Elgin Room offers you the opportunity to bring your dream wedding to reality. 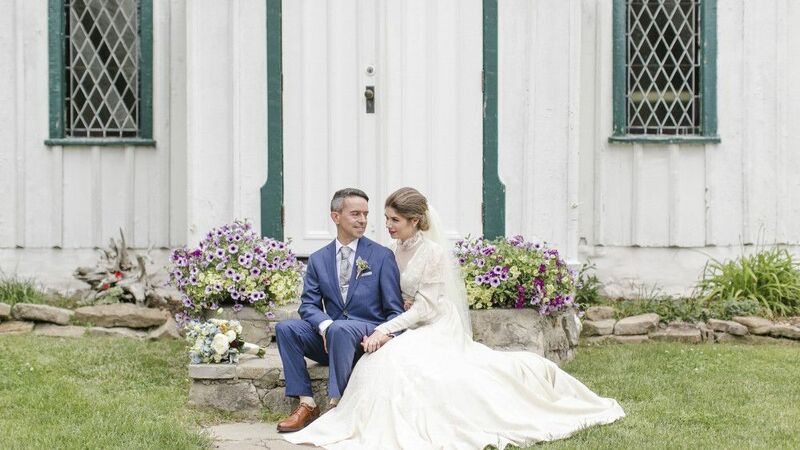 Ball’s Falls is home to two of the few venues that give brides and grooms full reign when it comes to their wedding planning. Couples will bring in the caterer and decorator of their choice. The venue includes tables and chairs. beautiful scenery, which leads to the Upper Falls. Couples will have access to a patio for an outdoor ceremony and/or cocktail hour options, or for dancing under the stars at night. The Centre for Conservation was opened in 2008. It is a gold certified LEED building (Leadership in Energy and Environmental Design), so perfect for the environmentally conscious. Your love story with us!